Hello, my name is Patricia Holden – I’m a qualified Psychotherapist, Hypnotherapist, Consultant of The Thrive Programme, NLP Practitioner and counsellor. Helping people to overcome anxiety, stress, panic attacks & any problems where emotional or psychological forces are involved. I do this from my private consulting room in the centre of Brighton. So please turn your volume up and press the Play button to see the video I’ve put together for you. 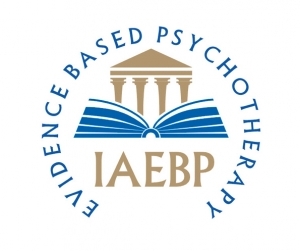 Many people I’ve worked with have been relieved of their suffering through the use of Hypnotherapy, The Thrive programme, Cognitive Processing & Integration (CPI). If you feel’ stuck’ in your problem & wish to take control of your life – then get in touch with me so that together we can find the best programme and way forward for you. To book your free taster session please call Patricia today on 01273 422009 or 07733 275830 or click here to email her. Patricia can help with a wide range of issues whether it be job, home or family related, psychosomatic and stress related, psychological and nervousness issues, trauma and states of shock, sleeplessness and nightmares or concerning self awareness and self understanding. Brighton & Hove. Lewes, Haywards Heath, Chichester, Shoreham, Worthing, Horsham, Newhaven, Hastings, Eastbourne. London Victoria is less than an hour away from Brighton Station and only five minutes from the Clinic. Patricia is a licensed practitioner of The Thrive programme – an fantastic psychological training system. Patricia now offers 1-on-1 online Thrive consultations using video chat via Skype.